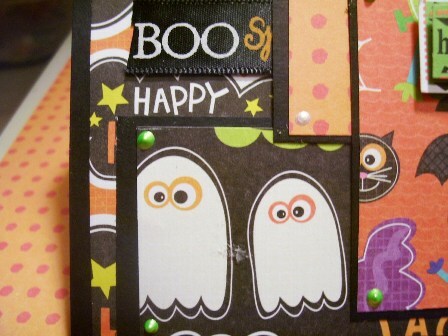 Looking for easy Halloween card ideas to make at home? 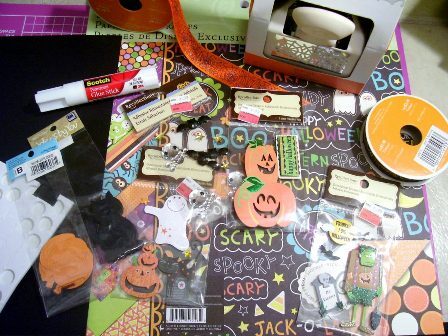 Scroll down and join our DT Member Dottie as she creates a spooktacular Halloween card for you, complete with a step-by-step tutorial and some photos to help you on your way! So to start, here is a list of the products I used to create this card. You can always use whatever products you have as long as they are in keeping with the theme, which is Halloween! Using my black cardstock by STAMPIN' UP! for the main card, I cut it to make a 4” x 6" card. 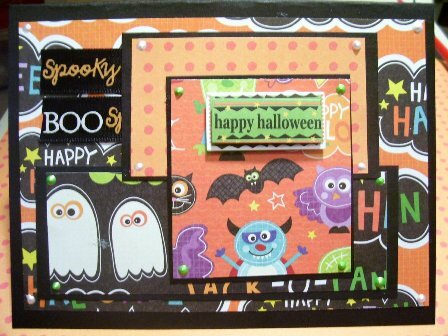 After preparing the main card, I added the Halloween printed paper by K & Company then added the ribbons. 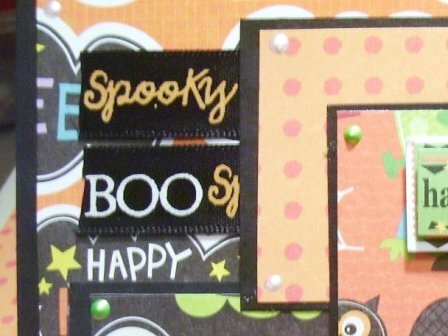 I then stacked the printed papers and glued them into place with black card stock behind each piece of printed Halloween paper to create a border and emphasize the printed paper. 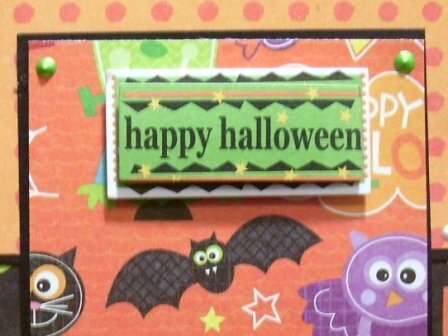 After they were all glued in place I added My Happy Halloween sticker that I had in my stash, also by Recollections. 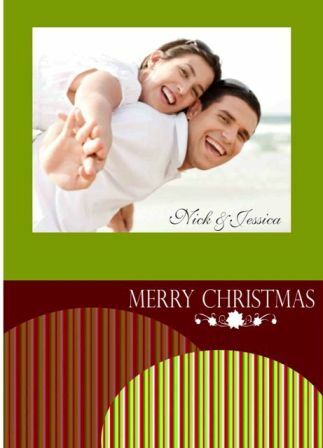 To finish off this card I used lime green and white liquid pearls on the corners of my printed papers.